Your Neighbourhood Plan is now open for consultation up to 27th March. 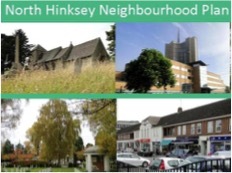 The North Hinksey Parish Neighbourhood Plan has recently taken another important step towards adoption. The Plan was approved by the Parish Council in November and then submitted to the Vale, where it has been thoroughly reviewed to ensure that all of the required content is in place within an appropriate structure. Having overcome that hurdle the Vale are now carrying out the first stage of Independent Examination, which is a six week consultation running until the 27th March. All individuals and organisations that provided feedback in the public consultation last year (other than anonymous comments) have been sent a notification message outlining the process for making further comments about the submission version of the Plan. Details of how to submit comments can be found on the Vale website along with copies of the main Plan documents. Hard copies of those documents are also available to view at both Botley Library and the Parish Council Office in Seacourt Hall throughout the consultation. In addition the Resources page of the Neighbourhood Plan website contains copies of all the Plan documents.